1. It’s even more fun than the original, mostly because the up-close-and-personal melee weapons are just a (literally) bloody delight. I worked my way through one of the single player campaigns with a friggin’ samurai sword, and let me tell you, if there is a greater video game joy than turning a zombie into thin-sliced deli meat with a katana, I don’t want to know what it is. 2. It’s also harder than the original. I’m playing the “normal” difficulty and I have to tell you that I’m hitting the safe houses in dire need of health and ammo. The culprits for this: More zombies, nastier special infecteds (that’s the zombies that can spit on you or ride you or pummel you into squish or otherwise make you unhappy), longer levels and little mini-missions you have to complete while the game continually disgorges zombies your way. It keeps you busy and frantic, which is the point of the game. 3. More variety of weapons, which is nice, although learning which ones are really useful will take a bit of time, and the weapons of choice in the first L4D game may not avail you here. My preferred set-up in the first game was dual pistols and the hunting rifle for sniping; in this game the pistols don’t seem to stop the zombies as well, and I’m not getting a lot of nice camping spots for sniper headshots. So I’m still trying to figure out what really works for me. I will say I had fun with a katana/grenade launcher set-up, although I’m not sure that’s the most practical way to get through the game. 4. The graphics are better and gorier, with lots of glistening disembowelments, amputations with bones sticking out, and blood spatters on the screen; indeed, if you’re plowing through lots of zombies with a melee weapon, at certain points there will be so much blood on the screen it’s hard to see. Needless to say, this is awesome. 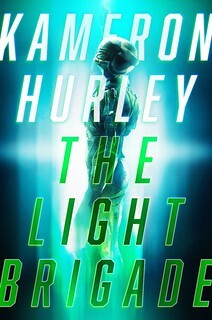 So, as an early rating: Really good. I have some more zombie killing to get through today, so if anything happens for me to change my mind I’ll let you all know. But in general, it seems that Valve’s done it again. They haven’t made a bad game yet, and think about how many video game studios you can say that about. The only one I can think of is Blizzard. I’m playing it on the PC, personally. Mouse and keyboard! w00t! I may be out of my league here, but when Origin Systems was in full swing, they didn’t make a bad game – reinvented RPG, space flight and adventure. That said, I love reading about zombie games, but I will piss myself if… I had to play one. Worse yet, if one popped in front of me, I would probably disembowel myself to speed up the process! And Kaellin, Bioware came to mind for me. yes, but can you play it at night with the lights off? I’m pretty hard to scare, but I’m nervous about the clown zombies. There’s going to be some major zombie slaughtering come that day. Heh, my husband and I have a friend coming over tonight to system link our two 360s so we can play the first L4D. We don’t have 2 yet, but we will. Oh yes, we will. I’m not really a Valve fan myself (other than Portal, which was fantastic), but that’s more of a game style/genre preference. I definitely agree they put a lot of effort into making their games work well… you rarely hear about a Valve game being overly buggy, for example. I’d say Blizzard too… I’m not a WOW fan either, but I’m not going to say it’s a bad game, and Warcraft/Diablo/Starcraft is quite a resume even without WOW. Can’t wait for D3, though sounds like that’s still a ways off. SC2 will hopefully be fun too. My nomination is Firaxis, though I never played the consolized Civilization game (Civilization Revolution is the name I think), so I really don’t know how that one turned out. Have you seen the movie Zombieland yet? Zombie killing is a delight. Still playing the first game. Can’t wait to give this one a spin. I played the demo, and the sound of the frying pan hitting a zombie in the head is pure Looney Tunes joy. I played Left 4 Dead and thought it was OK, but I started playing Dragon Age and it was really good. The most amazing thing about Valve has to be that all these games are built on the same 6 year old engine. Source can still sing and dance, and it runs on any PC that has a semblance of a dedicated video card. I’m really tempted to buy a handful of cheap gaming PCs with inexpensive last gen video cards and CPUs for a permanent, dedicated Valve Lan room. It was out too late last night or I’d have some dead zombies under my belt already. This time for sure. I prefer the term “deanimating” to killing when dealing with the risen dead. I have to agree with you about Origin. The Wing Commander and Privateer games were great. I would also have to agree with you about Bioware. And in the same vein, Black Isle Studios made awesome games when they were still around. Fantastic early thoughts on the game, Taki. I have to agree that Valve has yet to make a bad game. @Nathan Wright: Autoduel was really weak in the late game, I’m afraid. As in, I really did want to finish it, but it got so tedious and frustrating I gave up. Which doesn’t fit my definition of good. I’m still having such a ludicrous amount of fun with the first game that I haven’t got around to getting 2 yet. One day soon maybe. Though Dragon Age is currently taking up the majority of my time otherwise. Utterly amazing game. Did you play Civ 4 on the PC? I had so many problems with that I couldn’t even play it. Actually I did play it, but the memory leaks and other bugs made it unbelievably slow for me. It was very upsetting because Civ has been one of my favorite series ever. So I don’t think much of Fraxis anymore. @3 John: see, now, hmm. I could install Windows on my Linux box and that might well be the way to go. Problem is, I like my FPS games with a controller, not mouse/keyboard. Blasphemy, I know, but I’m a Mac guy and the depth of FPS games back in the mid/late-90’s was the Marathon stuff (precursors to Halo). Thus, no real experience with keyboard-n-mice. That’s good to hear, John. I was hoping L4D2 would live up to, and exceed its predecessor. Now just to scratch up enough cash to get it. And Valve is awesome, I just wish another Portal game would come out. Elgion@26: Really? I’ve burned so many hours on Civ 4 and expansions on multiple machines, including VMs. Never had a real problem. I was just playing the demo the other night and was floored by how much fun I was having again. It was almost like the first time I played L4D, except -better-. The melee weapons are by far the most awesome new aspect. Thwacking your way through a horde of zombies with an electric guitar is buckets of fun. I can’t wait to get the full game and find the chainsaw. Gleeful mayhem will ensue. I’m downloading the demo right now. Steve@29: I got it on the day it came out and spent the next month trying to get all the patches and it never got better for me. I gave up, maybe they fixed it in later patches, but I was already done messing around by then. Witch vs Chainsaw = uncontrolable giggles. Check out this new site from GameStop. You can zombie yourself or your friends and I can’t get enough of it. How come some folks prefer the mouse and keyboard combo over a console controller? I get fumble fingered trying to play on a PC. It’s much harder to aim with a controller. Most console games compensate with “auto-aim”, which bugs the crap out of purists. (And is also the biggest reason that games on multiple platforms don’t allow cross-platform online games. I’m just wondering, is there a setting to turn the gore down? Or off? I know you guys may think less gore is less fun, but it just makes me queasy. Well, you could move to Australia; the gore’s been cut out of the game there. More seriously, I do expect there’s a “reduced gore” setting, but I’ve never looked for it. I already tried that whole emigrating to another country thing, wasn’t my style. Thanks for answering though. Turning down the sound and playing pop music in the background usually helps with the queasiness too. Anyway, have fun with the gore. Maybe there’s an add-on to get screen wipers? But don’t shoot the fuel tanks, that way lies burnieness for all. You kind of need the music in Left 4 Dead if only to tell when there’s a witch around. It’s usually a better indicator than the sobbing the witch makes. Of course, if you’re playing with others you can always tell them to notify you when they hear a change in the music and just be on guard. 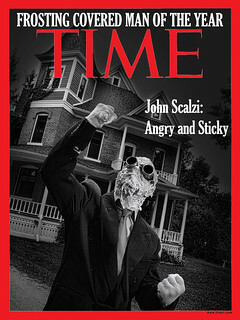 Darn you, Scalzi! I’m just getting my head into Dragon Age: Origins, and I was hoping to keep my L4D2 want at “can ask for it for Christmas” levels. I haven’t even gotten through the first Left 4 Dead! I was so excited for L4D2, but seeing the difference between the Aussie version I have to play and the US guts-and-glory version has just soured the experience completely. Y’know, impressive career as an award-winning author be damned, I think this review more than anything else proves that you’re a friggin’ genius! …with a friggin’ samurai sword! …and this is awesome. BTW, why the trip to the vet? Kitties & doggie ok? Dog had possible UTI. She’s fine. Please spare a thought for the tragic population of Australia who have had their copies of L4D2 censored to the point where they are even less gory than the original L4D. All due to the opposition of a single nutjob politician. Turning the game into a tragic parody of the awesomeness you all get to experience. Elgion #26: I did indeed play Civ4, both the original and with the Beyond the Sword expansion (also the new Colonization, which is a separate game but uses the Civ4 engine), and I never had trouble. Sorry to hear it didn’t work for you, since it’s awesome. Brad #36: Because a mouse is way more precise than a controller stick, mainly. My kids play L4D all the time. I tried it but then I had dreams that night (not quite nightmares but close) where I had to keep fighting zombies all night…with that gotta-get-thru-the-level anxiety thing going. I probably should play more often to de-sensitize myself and toughen up! Please let the grenade launcher + katana hysteria wear off quickly, because some of us would prefer that you don’t take out the Charger smacking us around by (a) shooting it with a grenade, damaging us further or (b) having to run the 20 feet to get to us just so you can chop him up with your little sword. In one night of playing, this complaint is already based on ample experience :-). For loadout I like the magnum pistol upgrade (a Desert Eagle in either .44 or .50 depending on how you count capacity), and the upgraded sniper rifle (a H&K SR9, you can tell it’s not a PSG-1 by the stock). The upgraded sniper holds 30 shots and is fairly accurate unzoomed, both of which are limitations when trying to fire the hunting rifle unzoomed. The AK and M16 are also great when you can control your fire. Buying the 4-pack for $33 per person really helps justify the purchase, you can see the amount of work that went into the levels over the L4D1 maps. Yeah, free post-release PC content would be nice (TF2? ), but hey at least we aren’t paying $60 annually for a sports franchise game on a console. If you ever want an excellent game of co-op or versus (fun! ), look me up in Steam by this username (or “jcbuff”). I’m relieved to hear that I’m not the only one who’s finding the Normal level pretty damn challenging. I thought I was just having an off night. I really like the new weapons, although I’m just as dangerous to myself with the grenade launcher as I always was in Doom and Quake. Really like the game so far! I don’t know if anyone’s said this yet but samurai sword and rocket launcher? Screw practicality, that sounds awesome. I managed to get through the first level lat night before heading out for some good ‘ol 3.5 DnD. I thought the gameplay was much easier. Of course, it coule be because I’ve spent so much time playing versus on L4D. Chainsaws are GREAT when you just have to defend one doorway. Until they run out of gas. Ditto on the Katana. It’s too much fun NOT to use it. I had good luck with the SCAR and laser sight i picked up at the gun store. I’ll have to try thenew sniper as well. Which is to say I love them. They’re obnoxious and a really horribly annoying “special”, kind of like the headcrabs in Half Life or Half Life 2. 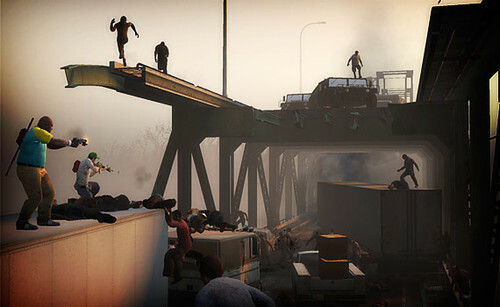 L4D2 makes L4D look like a mod (which, if we’re honest with ourselves, it was). I’m still not sure which weapons are supposed to be superior to other weapons. The shotguns have been nerfed into virtual uselessness, but I really enjoy the AK-47 and some of the 3-shot burst weapons. The M4/M16 is also improved simply because the maps have more weapons strewn about, which means you can swap it out for something else when you inevitably get low on ammo. I love the clowns squeaky shoes. Squeak Squeak Squeak Squeak Squeak Squeak… clown comes running toward you with a hoard following the squeak. LOL Awesome game I was still playing the original until yesterday. Chainsaw is cool until you run out of gas. Nathreee: Yes, there’s a low-gore setting. John, thanks for the review. Looking forward to picking up PC version tonight. It’s far more settling to get a review from a “peer” than the gaming community. John, I was just wondering what your Steam account name is? Deeply apologetic if this has already been asked and you’ve given it out, or stated a policy against this (I know Nathan Fillion doesn’t give out his gamertag because he gets swamped with fans). I don’t know what I should do, my steam account was hacked and I couldn’t get it back through the steam support, any suggestions?